An access setting established by the Owner for each Postwire dictates the requirements for allowing others to access it. You can make each Postwire open so that Anyone With The Link Can View (which is the default setting) or you can choose other access settings. When you click the Change button, you can see the other options. All Postwires are closed off to the pubic internet. Search engines do not crawl any Postwires, regardless of the access setting. Anyone with the link can view means exactly what it says. Therefore, if you give the link to someone and this person gives it to someone else, the third person can see the Postwire, too. [NEW!!] Anyone with the link, who provides their email address, can view allows you to establish a gated access setting. This access setting permits the viewing of content items only when an email address is provided. Once an email address is provided, all activity will be tracked by that email address from that point forward. The user experience for this new access setting is that the Postwire is presented upon clicking the link to allow your contact to view it in entirety at a glance. The person who shared the Postwire is alerted that "Someone" viewed the Postwire. A prompt to provide an email address is only presented to contacts not already known to Postwire when the contact clicks to view an individual content item of interest. The prompt to enter an email address appears once per browser session. 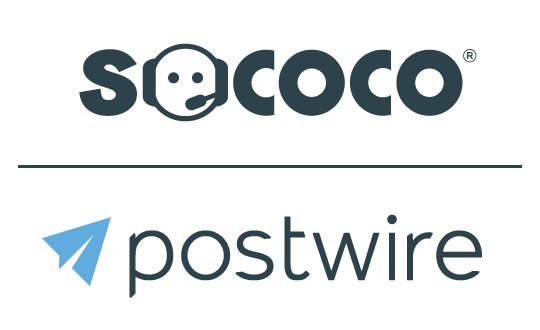 Once an email address is provided, your contact can view all content on that Postwire and the Postwire Owner will see all tracking activity captured for that contact flipped to the email address provided. Users in the Organization, and additional invitees, can view means that everyone in your Organization's People List will have viewer level access to the Postwire automatically. You can explicitly invite people outside of the Organization to also have access, if you'd like. Note: if you want particular people in your Organization to be "Contributors" (not just "Viewers"), you will need to explicitly invite them to promote them from "Viewer" to "Contributor" by clicking the drop-down menu by their name in the invitee list. Note: only Admins can select the option for organization-wide sharing. This option is greyed out for anyone who does not have Admin rights. Only people who have been invited can view allows only those explicitly invited using the integrated Share mechanism to view the Postwire. Anyone else who clicks the link will be denied access. Your invited contact will be presented with a Create Account / Login dialog box before being granted assess to view the Postwire--if they are not already logged into Postwire. The system matches the email address you use to grant access with the email address your contact uses for their Postwire account. It is important that these two email addresses match exactly. Only then will access to view the Postwire be granted. how do i change a viewers setting to "only people who have been invited can view" after I have already sent the email? Julie, you can change the access setting on any Postwire you own at any time. Know, though, that if you originally left the access open so that "anyone with the link can view" then later set a more restrctive access setting, someone who has the link to the Postwire (perhaps from an earlier email you sent) and who is now not specifically granted the more restrictive access, will get a "denied access" error message when they click the link to view the Postwre.